Non-Toxic Munchkin: Cancer Causing Chemical in Paint For Kids? Ask my older son what his favorite activities are and undoubtedly one will be "arting"  (his word for anything related to art). My son and I do art projects just about every week and sometimes more than once a week.... Tempera, water colors, markers, pastels, glue, glitter, you name it we have it at home. I love the freedom that art give kids to express themselves but I do worry about the chemicals these art supplies could potentially expose kids to... especially with the littlest kids who love to explore everything, including art supplies, by tasting them. It might be one of the products I try to research the most because we use them so much. 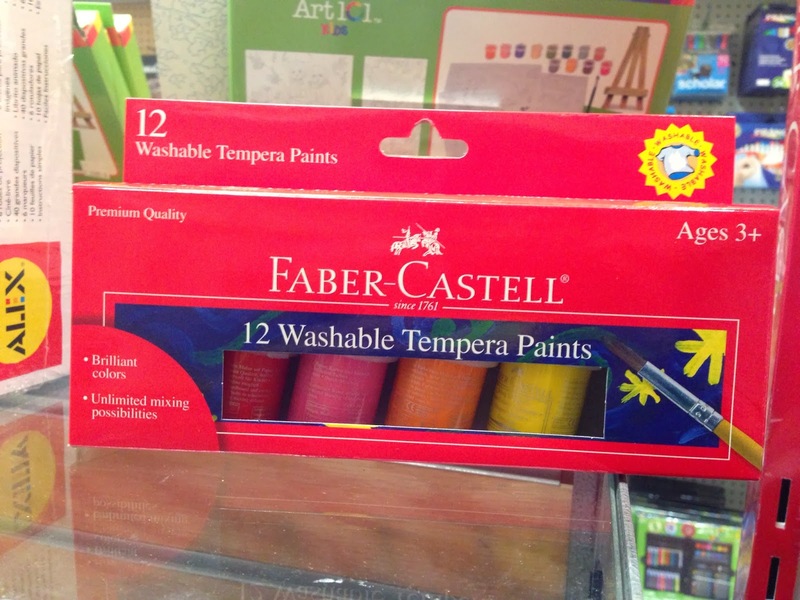 looking around the children's area I picked up a pack of paint from a very well known art brand : Faber-Castell. They are known in the art world as makers of top quality art supplies.... So I was disappointed to see a sticker that read " WARNING: this product contains cadmiuma chemical known to the state of California to cause cancer." 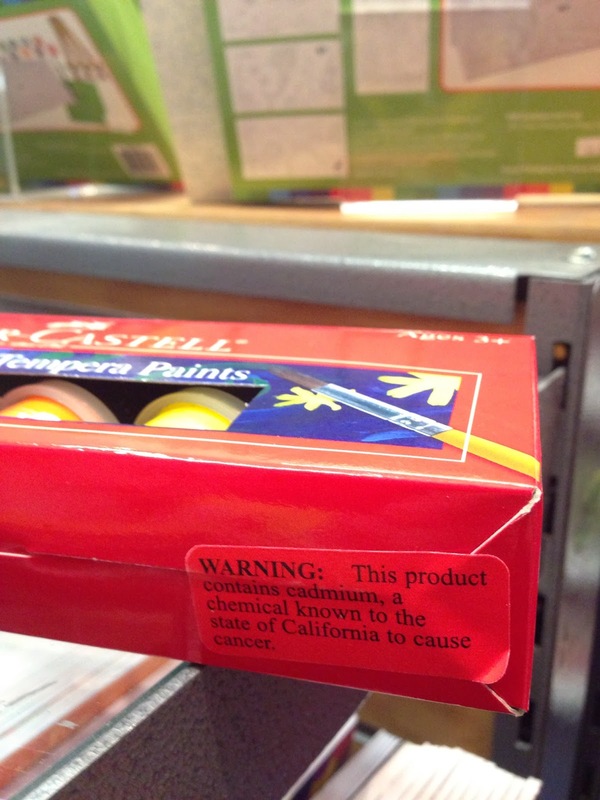 Just lovely - something that is known to cause cancer in paints being sold in the children's art section. 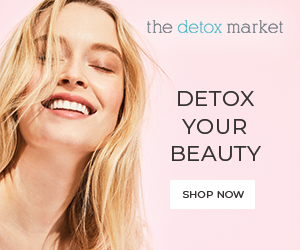 So what is Cadmium and how common is it? Cadmium is a heavy metal used as a stabilizer in PVC and in coatings and pigments in plastic and paint (ATSDR 2012). - Cadmium is classified as a known human carcinogen, associated with lung and prostate cancer. - Another study led by Harvard University found that children with higher cadmium levels are three times more likely to have learning disabilities and participate in special education. Not only in paint. Turns out cadmium is quite common in another product marketed to children: inexpensive children's jewelry. 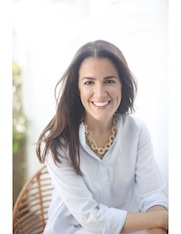 How do I avoid exposing my children to cadmium? Lucky for us parents, this is pretty easy. Regarding art supplies; read the ingredients. Always look for non-toxic paint and supplies. The question of what defines 'non-toxic' paint tends to come up at this point. Is paint really non-toxic if you have to call poison control if ingested? The Crayola Material Safety Data Sheets clearly states that it all ingredients are considered safe and are non-toxic however it does suggest that in the case of ingestion you should " Contact local poison control center or physician immediately". Basically, I do think non-toxic paint is fine, especially for older kids, but if you have a very little munchkin who is prone to tasting everything you might want to take things a step further and make your own art supplies for a while.... this way you know exactly what ingredients your munchkin is eating. It might be time consuming activity, but it might help you enjoy art time more. Clementine Art: Play dough, crayons, paint, markers and glue - all of their ingredients are listed on each package. There are no chemicals or synthetic additives, just plant-based materials and good-enough-to-eat ingredients like flour, salt and vinegar.